The DAddario DIY Solderless Pedalboard Power Cable Kit is the ultimate solution for custom wiring the DC cables of your pedalboard. Common power supplies come with pre-made cables that lead to excess wire and clutter on your pedalboard. The DAddario cable kits are as simple as cutting the included cable to length, placing the cable into the plug end, and securing the set screw to produce flawless, perfect length cables. This proprietary cable has 3 times the amount of copper over standard cables for superior voltage transfer and reliability, and the plugs configure for straight or right-angle connections. 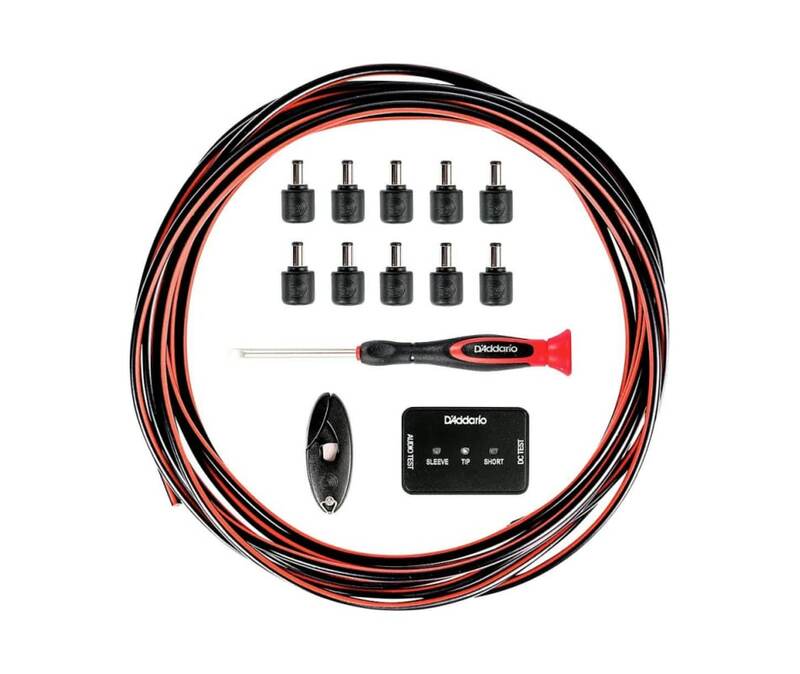 The DIY Pedalboard Power Cable Kit comes complete with a cable tester to easily check the cables for proper connection before installation. Make your pedalboard the neatest it can be with DAddario DIY Cable Kits.